This new EasyStrain Instant Kava Mix contains a blend of all-natural ingredients, including a standardized extract of kava, soy powder, cane sugar, and our proprietary flavor blend. For a delicious supplement to help relax and ease the mind,* our new EasyStrain Instant Kava Mix contains a blend of all-natural ingredients, including a standardized extract of kava, soy powder, cane sugar, and our proprietary flavor blend. Instructions: For each serving, simply put 2 rounded teaspoons into 4 ounces of water, stir thoroughly. A blender works best for mixing (3 minutes). 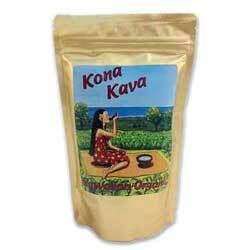 After blended, choose to strain if you wish, or simply enjoy your EasyStrain Instant Kava as it is.